You're here: textbroker.co.uk » Press & News » 10 Years of Textbroker! On 22 August 2015 the pioneer amongst content marketplaces will be celebrating its ten-year anniversary. It has been an exciting and eventful time from the development of the very first version of the platform to the position as global leader with headquarters in Mainz, Las Vegas and New York. In 2005, Jan Becker-Fochler required SEO authors for a number of his own projects. For this reason he had a first version of the Textbroker software developed. Within a short time, thousands of authors, who wanted to earn money by writing, stated their interest in this. 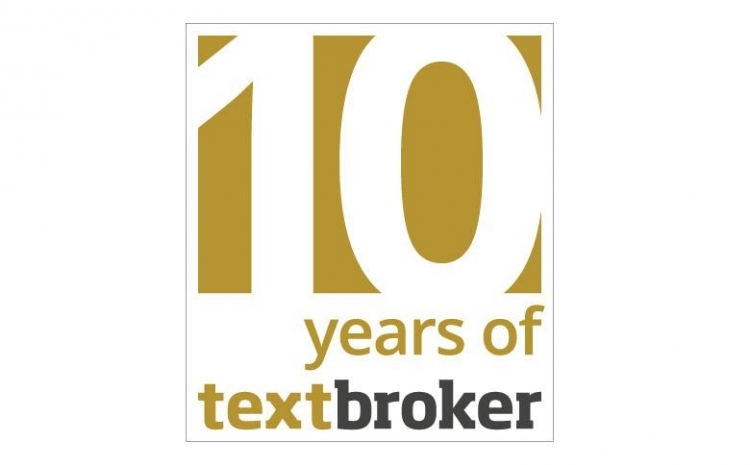 In 2007, the Textbroker platform was made available online to clients. The very first text brokerage, which connected authors with clients, was born. Straight away, authors delivered bespoke editorial texts and professional SEO content to clients. With the growing success in Germany, Jan Becker-Fochler decided to take Textbroker across the pond and so the US platform textbroker.com was established. In 2010, ViewPoint Capital Partners became the first external investor to provide growth capital to Textbroker and ensured further international growth. In autumn of that same year, the Internet and Media expert , Philip Thune, became CEO of the US Textbroker International platform. The UK and French platforms were the next to come online in 2011. In 2012, Textbroker Spain, Textbroker Netherlands, Textbroker Italy and Textbroker Brazil followed. Due to Google updates, such as Panda and Hummingbird, as well as the growing expectations of users, the requirements for content changed: higher quality, better formatting, embedding of images and videos, shareability on social media and so forth. To add to this, the need for quick, multi-lingual content for larger projects arose. To meet the increased requirements, Textbroker introduced the Managed-Service in 2012. Next to Self-Service, clients now had the possibility to order various flexible content services and outsource their entire text projects to a team of experts. In 2013, Textbroker Portugal and Textbroker Poland opened their doors. From then on, Textbroker offered texts written by native-speakers in ten languages. In the same year, the US Textbroker International portal was on the renowned Inc. 5000 List, being one of the fastest growing US companies. Further accolades followed for Textbroker, such as multiple inclusions in the top-100 list by iBusiness of most important German-language SEO services. In 2014, Jan Becker-Fochler focussed his efforts on the development of the Textbroker platform in his role as Chief Product Officer. El-Hadi Zahra took over the responsibility as CEO. ‘I can hardly believe what has arisen from an idea I had ten years ago. I would like to thank everyone that has supported us on our way to become the worldwide leading content marketplace and I look forward to the future development of our country’ – Becker Fochler.